Are you frontrunner in improving your companies' performance, make it faster, cheaper, better and be Agile? 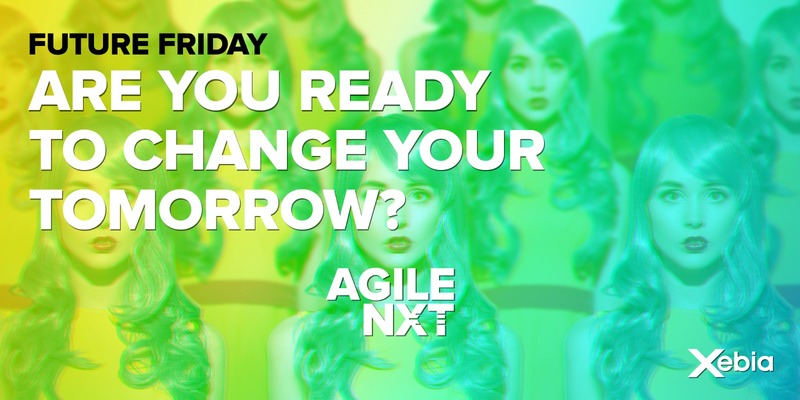 Prepare yourself today for the challenges of tomorrow and join AGILE NXT Future Friday. Future Friday covers all aspects of “what’s next” in developing Agility, from teams to leadership, people to technology, culture to governance, and everything in between. Its scope and perspective range from innovative insights to useful practices that resonates with your current and future Agile state. Presented by the industry thought leaders of improving your organizational performance. Are you ready to change your tomorrow? Get your ticket today! KEYNOTE: How Agile is Our Human Brain? Take a trip through the plasticity of your mind and gain insight into how you can express your talents and best accomplish your goals in the age of agility. Is your agile “copy-paste” or “problem-solving-specific? If you only imitate, you’ll never innovate. Learn what it takes to solve your own companies’ problems, your way—the agile way. Learn how to confront the real challenges of current work-impacting trends. Gain practical knowledge for your organization’s future-fit toolkit. Open your eyes to the “invisible elements” that often undermine transformations. Learn how to make culture change more tangible and sustainable. Solve poor performance with a shift in perspective on the fixed-team dogma. Discover how to implement dynamic reteaming experiments in your organization. No worries, you don't have to choose, you will meet all our 7 thoughtleaders. You can expect interactive and mind blowing session.